I think I’ve ‘fessed up before that I don’t love driving. So why do I keep snapping up the opportunity to drive performance cars on a race track? I figure that even though these are performance cars and the experience different than driving you’d do in the city, the more time and skills I develop behind the wheel of any car will help me feel more comfortable and maybe even more skilled handling a car when I’m on the road. 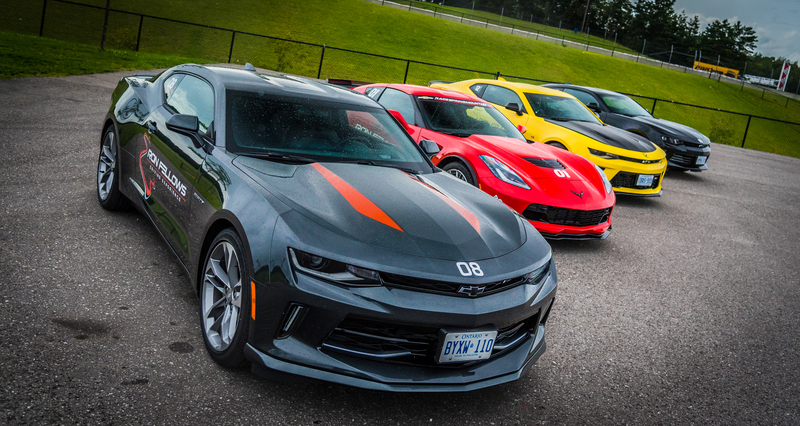 You’ll recall I was on a track in honour of Father’s Day, and more recently I had the chance to go to Chevrolet Ron Fellows Driving Experience at the Canadian Tire Motorsport Park to drive both a Camaro and a Corvette. And this was a very different experience because I wasn’t in the car with my instructor, but rather Ron instructed us through a headset. 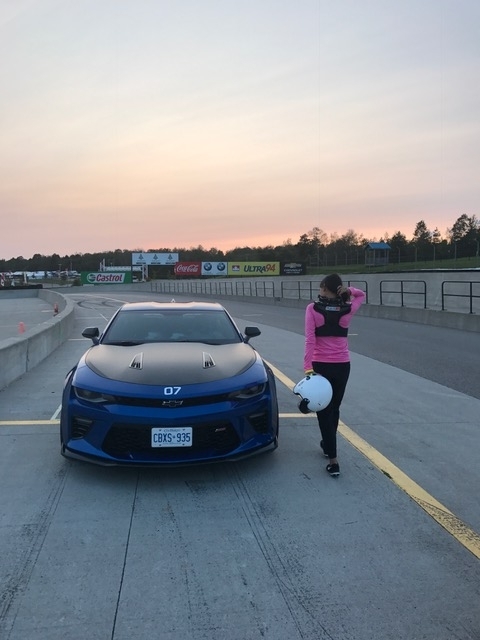 I was pretty intimidated at first, but once we started going, I felt safe on the track and did my best to follow the racing line (keep eyes ahead and looking for those pylons for guidance!). Unfortunately, I forgot to record the data from my time on the track (I guess I was so anxious to get going that I forgot to hit “start recording” for the USB as I was supposed to). I think the fastest I noticed on the speedometer was more then 150 kilometres an hour, which doesn’t sound very fast (I’ve, um, maybe accidentally done it on a highway…) but on a curvy and notoriously difficult race track, that is plenty fast to me! That day, I got to learn about the Chevrolet performance car lineup (four cars were launched in 2016, including the Camaro ZL1 and Corvette Grand Sport). 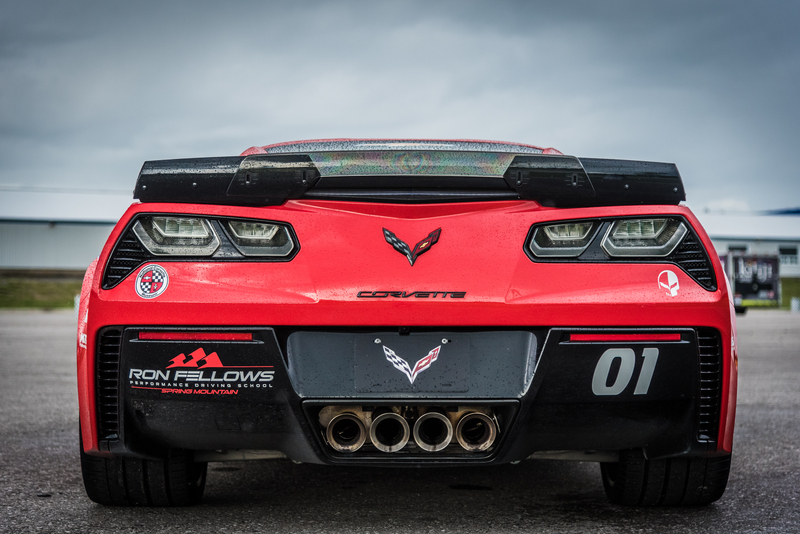 Most interesting to me were the reasons behind Chevy doing performance cars at all: it creates fans worldwide, drives new technologies and drives competition, and racing and performances helps inform their production vehicles (so things they learn from the performance cars can trickle into improvements to the cars that we drive on the roads); those are just a few of the reasons. I will say that this day had me feeling like I was in a scene from the Fast & The Furious. In fact, my new motto may very well be “I live my life a quarter mile at a time.” And why’d I categorize this under “health”? Because trying new things and getting that adrenaline pumping is always healthy in my book. And, oh, I must mention that I was the only girl in the whole group of media, so patting myself on the back for my day of keeping up with the boys!